Our hugely popular Hearts & Souls Race Night & Supper is taking place on Saturday, April 28th 2018 at the Amersham Community Centre, Chiltern Avenue, Amersham, HP6 5AH. This will be our 21st Race Night & Supper. It’s always great fun and it’s also a super fund-raiser for Hearts & Souls. Tables seat up to eight people but we can arrange a larger table if you need it. We do hope you’ll join us. We recommend you book as soon as possible as places are strictly limited. Doors open at 7.15pm with the first race taking place at 7.30pm. 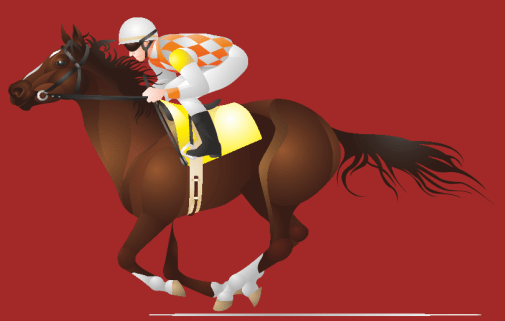 During the evening there will be eight races with eight horses in each race. The races will be projected onto a large screen. So that you can have a flutter there will be a tote and there’ll also be a licensed bar for you to celebrate your winnings or drown your sorrows. Supper will be served at 9.15pm. The evening will finish at 10.45. The entrance fee is £10 which includes a choice of cod/sausage/veggie spring roll & chip supper. For an extra £5 you can name and own a horse with your name appearing in the programme. If your horse wins you will receive a £20 prize. You can name a horse without attending the event. There are 64 horses running during the evening and these are available on a strictly first come first served basis. Why not sponsor and name a race? You, your group or your business can also sponsor one of the races for £100. Your name will appear as a sponsor in the programme and you will be able to name the race e.g. Active Hearts Hurdles. Your sponsorship will also be highlighted on the night. You can sponsor a race without attending the event. Please click here to download the booking form, print it out and then complete it by hand. Please send it with your payment to the address at the bottom of the form. Don’t forget to let us know which type of chip supper you want on the form. Bookings must be made by Monday, 23rd April 2018. If you have any queries, please email us.